Happy April Fool’s Eve, Darlin’! I met my future wife right now, 10:30 PM — yes, that’s correct, on April Fool’s Eve — 32 years ago tonight, March 31, 1984. I was waiting for the final decree of dissolution of marriage and not feeling very good about myself. A mid-life crisis at age 25. Hated my chosen profession. My opinion of myself wasn’t much better. Then, I met Kathy, a divorced mom of two little ones. On April Fool’s Eve. Little did she know, the joke was on her. My life changed instantly. 15 months later, we were married. Instant fatherhood. Three more kids, seven grandchildren, and now another grandchild on the way, the first of our own progeny. 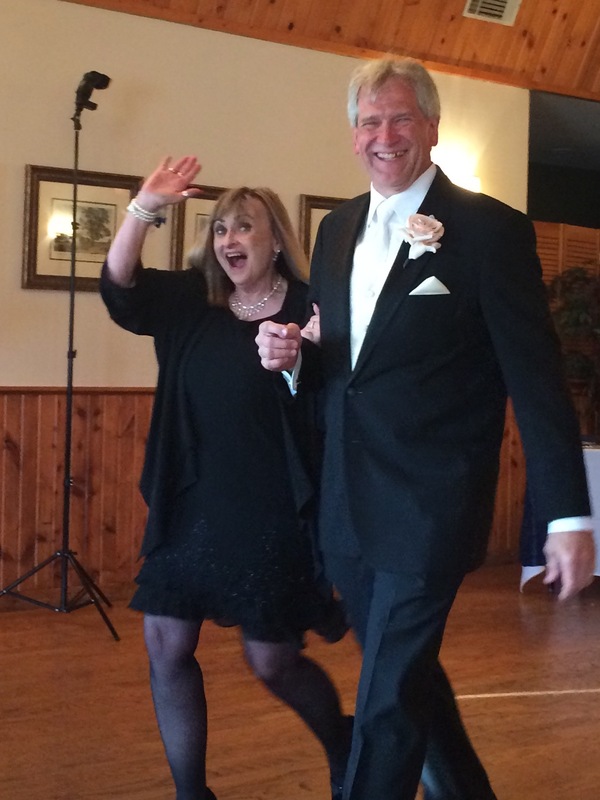 At Doug and Amy’s wedding, 5/23/15. The years have flown by. So many things have happened. Good. Bad. Sad. Happy. Awful. Miraculous. We’ve hung onto the mast of the listing boat and sailed on very smooth seas. No doubt, more rocky waters are ahead. But that’s okay. That’s life. I love ya, Kath. Thanks for putting up with me all these years. As long as you’re in the boat with me, everything will be okay. 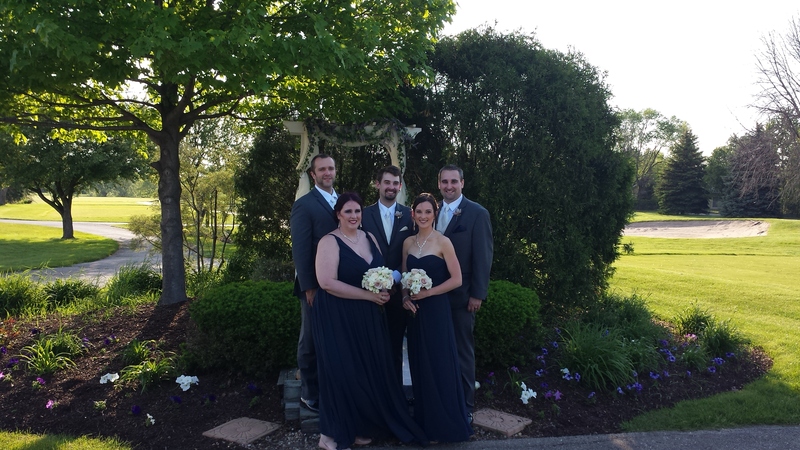 Stephen, Doug, Andy, Sarah, and Martha at Doug and Amy’s wedding, 5/23/15. Do you have a heart of mercy? Who is the most merciful person you know? I think of many ladies who have crossed my path since I was a little guy. But the most vivid examples are historical figures. The first person who comes to mind for me — and likely for you — is Mother Teresa. Seeing poverty that surrounded her in Calcutta, she resigned as headmistress of the school where she had taught for almost twenty years and founded the Missionaries of Charity. Amazingly, Mother Teresa was not only criticized for her stands against birth control and contraception, but also by the famous atheist, Christopher Hitchens, for seeking advanced treatment for her heart failure. Methinks he probably never heard what Mother Angelica had to say about suffering. I also recall the women who grieved for Jesus on the way to to His crucifixion. What does it really mean to be humble? Mother Angelica, foundress of the Eternal Word Television Network and now the largest religious media network in the world, passed away yesterday, Easter Sunday, at approximately 5:00 PM Central Time. But she gets to meet Jesus face to face. 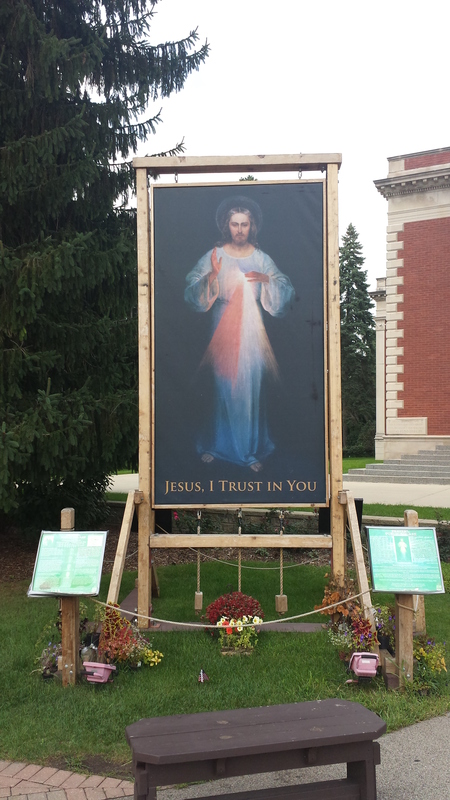 Today is Day Four of the Divine Mercy Novena. Today bring to Me the souls of those who do not believe in God, and those who do not yet know me. I was thinking also of them during My bitter Passion, and their future zeal comforted My heart. Immerse them in the ocean of My mercy. Most compassionate Jesus, You are the Light of the whole world. Receive into the abode of Your Most Compassionate Heart the souls of those who do not believe in God* and those who as yet do not know You. Let the rays of Your grace enlighten them that they, too, together with us, may extol Your wonderful mercy; and do not let them escape from the abode which is Your Most Compassionate Heart. Eternal Father, turn Your merciful gaze upon the souls of those who do not believe in God and of those who as yet do not know You, but who are enclosed in the Most Compassionate Heart of Jesus. Draw them to the light of the Gospel. These souls do not know what great happiness it is to love You. Grant that they, too, may extol the generosity of Your mercy for endless ages. What was it like to be the mother of Jesus? The mother of God? As a general rule, Saturdays in the Catholic Church are set aside to pay special honor to Mary, the mother of the Savior of the world. There’s something a whole lot different about this Saturday. Hear what I have to say about Mary on the saddest Saturday of the year. Today is also the second day of the Divine Mercy Novena, the nine days leading up to the Feast of Mercy, the Second Sunday of Easter, as instructed by Jesus Himself. Yesterday, we prayed for all mankind, especially all sinners. Today we pray for the souls of priests and religious. You are currently browsing the thephilosophyofdave blog archives for March, 2016.